Signed by Jules David, a French painter and lithographer, who introduced naturalistic situations to fashion illustration. 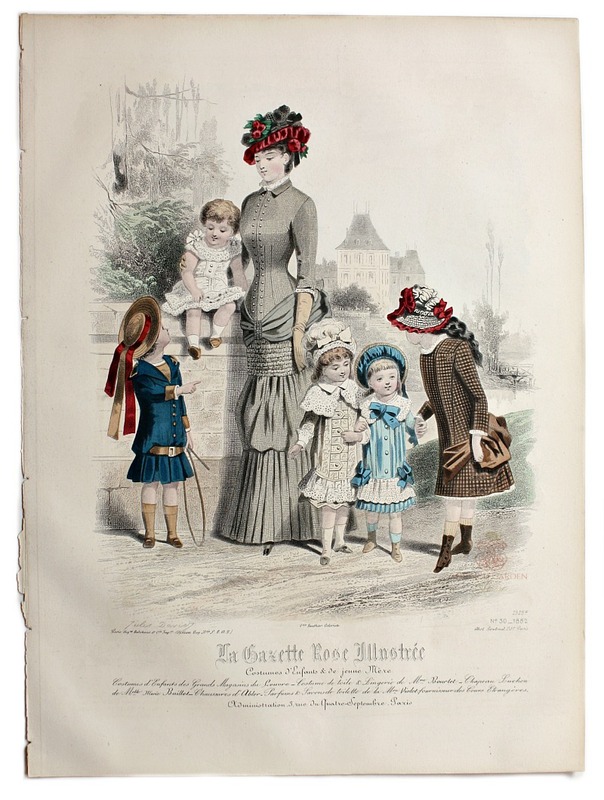 Colored with bright water colors, this print shows a group of young girls, each wearing a different beautiful dress, white lace, a light blue silk, a darling sailor dress and boater, and a checked dress. The detail is gorgeous, their tall and slender mama or perhaps nanny looks fetching in her dove grey dress and hat covered in red roses.